Install the LAMP server software. Be sure to include the “^” (which identifies lamp-server as a meta-package). 3 upgraded, 27 newly installed, 0 to remove and 58 not upgraded. Need to get 43.4 MB of archives. ****Enter a MySQL password when prompted**** (this password will be used again, so record it). mysql -u root -p -e "CREATE DATABASE drupaldb CHARACTER SET utf8 COLLATE utf8_general_ci;"
So, if that all worked, you should now have a LAMP stack set up on your Ubuntu AWS instance. In this step, I will suggest you just use your normal login – which should probably be ubuntu – rather than the superuser. If you are still in superuser mode from the above step, just type “exit”. Move to Apache’s web server directory. Get the current Drupal 8 version. The following command will unpack Drupal 8 and put everything where it needs to go, including several additional hidden Drupal 8 files. Copy the following files as shown. Follow the installation steps, answering questions when prompted. 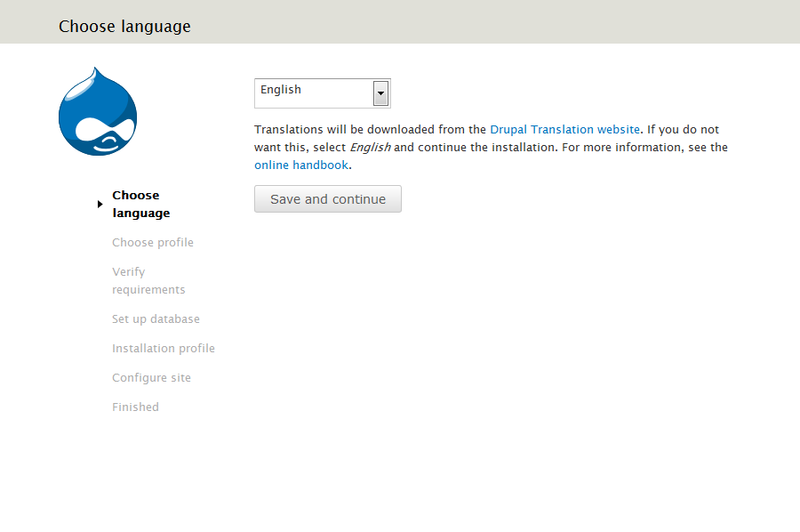 If you’re unsure about any answers, see the Drupal installation guide starting at Step 4. After the installation is complete, you will want to restore the original (more secure) permissions on the following files.